Function Junction, 10 minutes south of Whistler Village, has always been a unique space. Historically, it’s a place locals have gone to pick something up from the hardware store, or to drop off recycling and used clothes. This reputation for “function” has fostered a belief that there is nothing here for non-locals, but in reality there are some great spots worth checking out. True, there is a Purebread in Whistler Village, but everyone knows it’s always busy and its village-facing location means some commitment is required to park and go inside to order. Not the Function Junction location. This Purebread has a parking lot and the best pour-over coffee in town, plus all the same baked goods made fresh in house. Looking for a rich latte and some unique shopping? Camp is your place. New to Function Junction, this store is half interior design, half coffee. 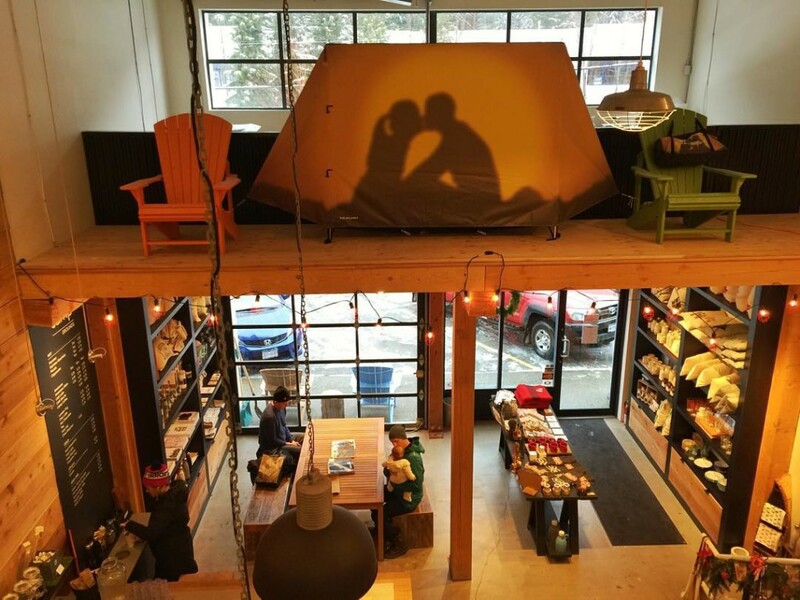 The store sells a variety of Pacific-Northwest-inspired goods, and if you go on a sunny day they have an epic patio in the back. This place is a gem. I can’t count the number of times I’ve gone to the Re-use It and come out with a treasure, be it a new outfit, a bike or ice skates. The community in Whistler is very active, so look here for a great deal on used sporting goods. Olives Market is the only natural grocery store in Whistler. In addition to their selection of natural foods, they make insanely good freshly baked bread. 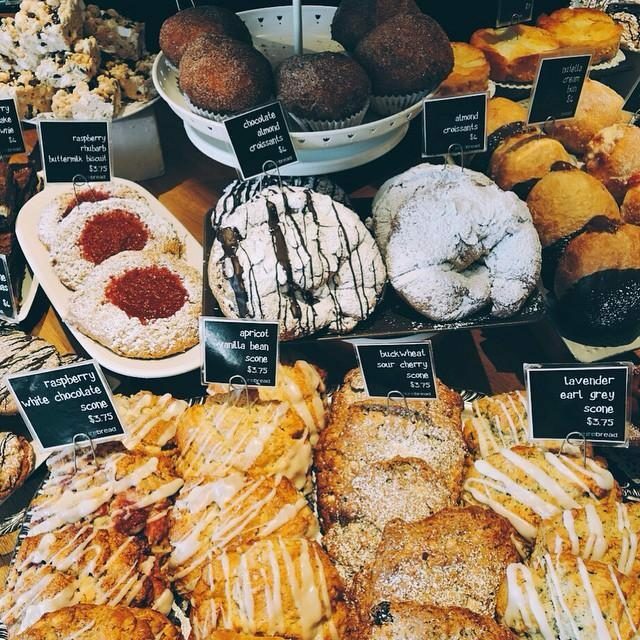 Come in the morning to pick up a loaf, and load up on all of your health-conscious needs. Wild Wood has been in Function Junction for as long as I can remember. On a Saturday morning, when you can’t fathom waiting in a two-hour line for brunch in the Village, head here. You will get the same great breakfast with little to no wait. 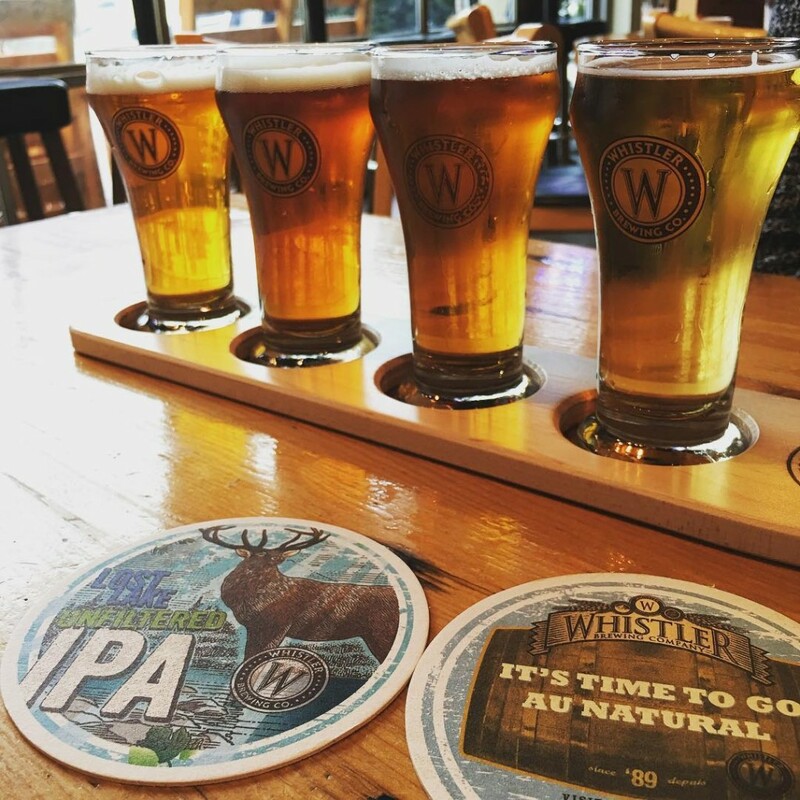 One hundred per cent BC owned and operated since 1989, Whistler Brewing Company is the place to go for beer tasting and brewery tours. Try Mountain Lager, a favourite among locals, or their award-winning Black Tusk Ale. Want to know more about Function Junction? Check out this new website.